The car bombs exploded in crowded places: shopping malls and bus stations. Nearly 500 deaths between January and February. 2013, most violent year. In April the legislative elections. 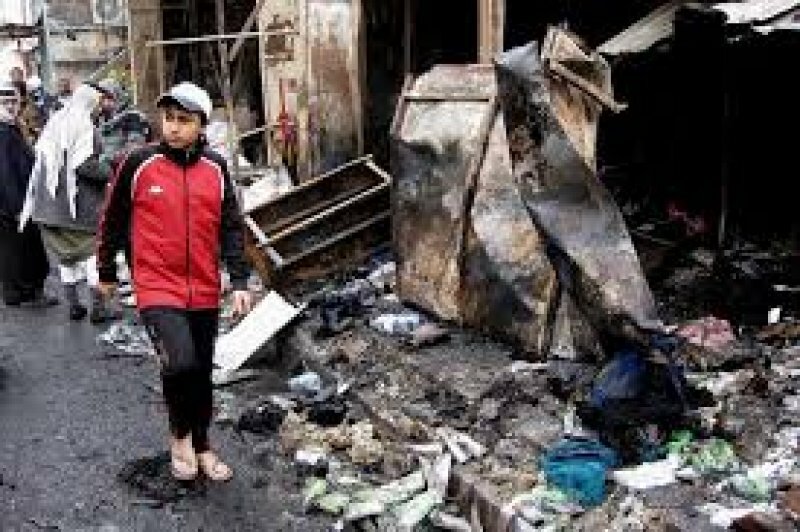 Baghdad (AsiaNews ) - At least 49 people were killed yesterday in a series of car bombings in the capital and Hilla , a town 100 km south of Baghdad. Police have confirmed that a car exploded near shopping centers and bus stations to hit as many people as possible. In Baghdad, the attacks were concentrated in the Shiite areas of the city. The day before, also in Baghdad, 23 other people were killed. According to government figures, last month more than 1,000 people have been killed in attacks aimed at government or Shiite targets. Security and hospital sources say that so far in February, there have been already nearly 500 victims. The attacks are not claimed by anyone, but it is thought that they being carried out by Sunni groups fighting Prime Minister al-Maliki , a Shiite , and by fundamentalist groups linked to Al Qaeda. In April, there will be general elections and the people fear an increase in similar attacks. Since the fall of Saddam Hussein in 2003, 2013 has been the most violent year in Iraq, surpassing even the violence of the 2006-2007 period.